I had a total knee replacement, so to kneel on the floor to do things it is very hard. This cushion makes it possible to do things I would not be able to do. It was for my MOM and she just love's it and sit's in it every day so i order her another one. I like mine so well, I bought one for a friend for her car. Bought for family member with limited mobility. Made sitting in chair for extended periods far more comfortable. Added height helped get patient out of chair onto walker. Good product! I spend hours at my computer and the sitting can take a toll on my back. This cushion has made it so much better. I put this cushion in my car as the car seat does not have enough cushion for any long term driving. It really sits nice and the only drawback is it wants to slide out when you get out of the car. Will purchase another for both front seats. This is the best cushion for comfort and support. It is great support for my back as it lets me sit evenly. Thank you! It is also easy to take care of. Very nice and gives just the support and lift that my mother needs to sit comfortably in the chair for extended periods of time. I needed to be higher in my drivers seat! Works great! I bought this for my neigh or whose wheelchair bound. He says this pillow is so very comfortable, doesn't make him sweat and you can pull pillow case off to be washed. All in all a great buy.. I am on a shoestring budget, and have the opportunity to work from home. My chair is not the regular office type chair, so it was hard to sit for long periods. This cushion is a wonderful solution. My husband was in the hospital and was complaining about the bed being hard. I was saving the cushion for Christmas, but gave it to him early. He liked it so much that he told me to order one for myself. Yes I would more of this product. To use on my disabled dad on a daily bases. He loves it! A very good cushion. Slightly larger and much better built than one advertised heavily on TV. Got it to raise height of an easy chair seat. Own one myself and have given two as gifts. In my years of nursing we used this type cushion in the hospital & nursing homes. They were very expensive! When I saw it in your catalog I ordered one for my husband (stroke victim) I couldn't believe the price. He loves it since he has to sit for long periods..I can't say anything negative about it. I would buy this cushion again if it ever wears out. Gift to my husband to use while working in the office. I am using in my wheelchair. Makes it comfortable to sit in for most of the day. 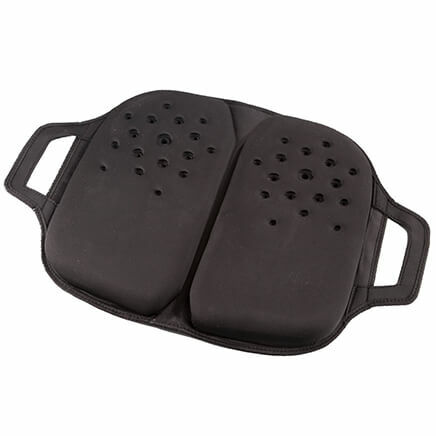 Gives support to the lower extremities. Using daily for my wheelchair. 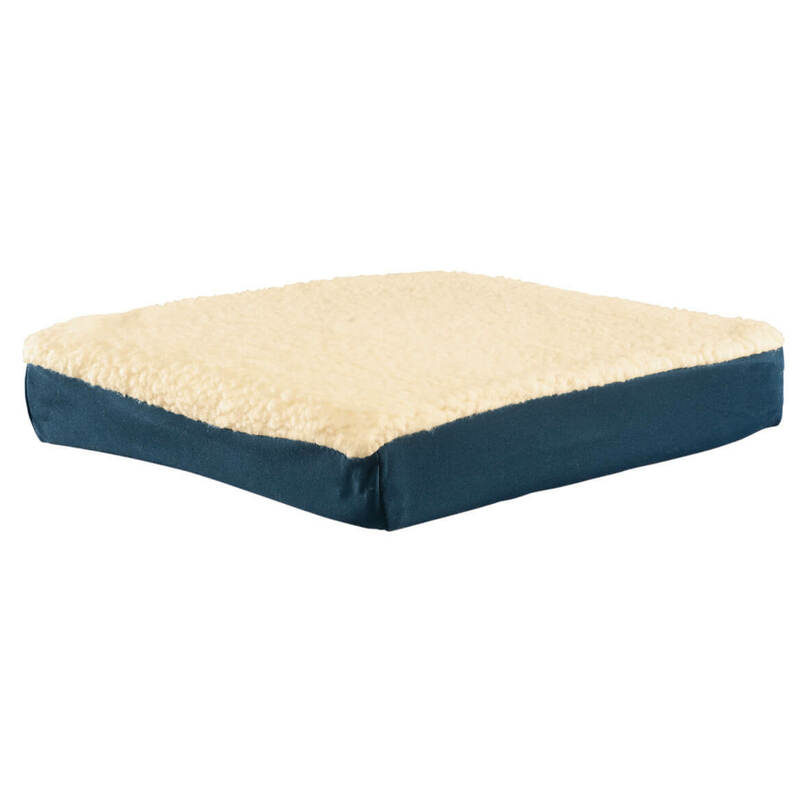 It was better than the cushion I was using, but I expected it to be firmer and more pliable. I would recommend this with reservations. 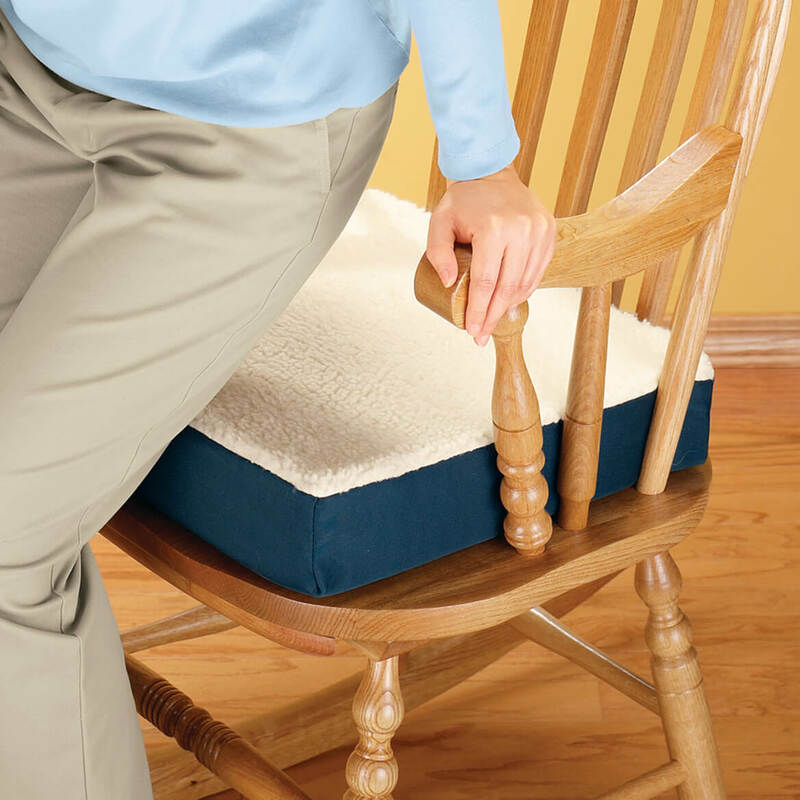 SEVERAL BENEFITS: Extremely comfortable to sit on, add just a little height to the chair cushion, enabling getting up to a standing position. Has an initially un-noticeable cooling effect - rather than rising to a standing position and discovering you are hot & sweaty, you rise COOL and dry. EASY to reposition yourself without having to fight the cushion AND it stays in place (on MY recliner) when you scoot forward to get up. Tad bit heavy to be carrying around with you, but once placed, it WOULD be helpful for ANY kind of traveling - auto - plane - train, etc. This pillow is very comfortable. The only thing I do not like is that it slides across the chair if you move a little. In addition to being short and needing a comfortable booster in my car, thought I'd try the Gel Cushion. It does work, and is a heck of a lot more comfortable than sitting on a do-nut hole cushion! I put the fleece side down which keeps in from moving a lot getting in and out of the car. I have back and neck problems and this cushion lifts me a little higher in my chair which helps me rise easier. I've noticed that within a very short time it has flattened somewhat rather than popping back up when I rise from the chair. It's still comfortable to sit on. Over all its a very nice Cushion and is resonably priced though for my particular preferince the gell bag inside the cushion felt like I coulndt find the "right Spot" to make it perfect so I removed it without much problem and the cushion does not seem to be effected except for now it has that perfect feel in my chair. 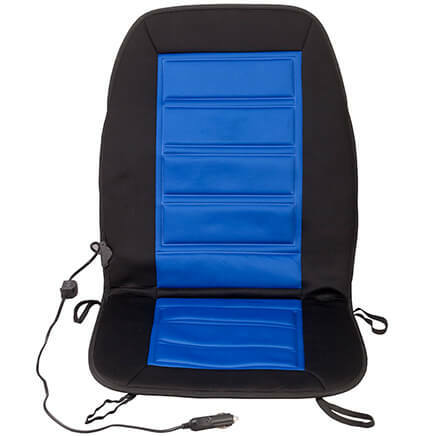 It also does not get hot or slide out of my chair and cover is washable overl all a nice buy and would buy again. 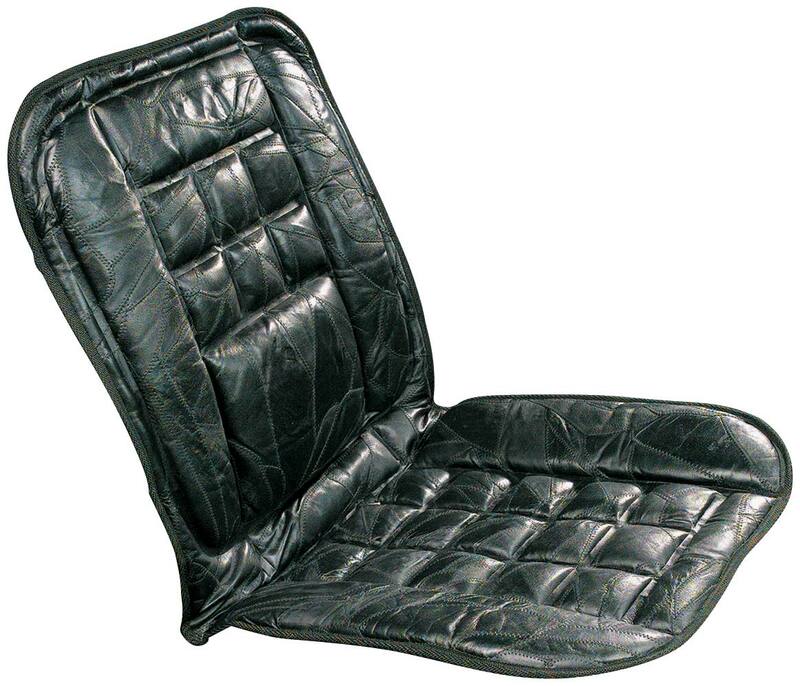 it's very possble that the problem was with my chair and not the pad it self though the gell pad had a higher amount in the very center then any place else and it didnt even out over a couple of weeks use. I bought this for an elderly man I care for and it helps him so much since he is confined to a wheelchair. It is great to know that he will not get sores on his tailbone because this cushion forms to his body and distributes the weight well. used it in a wheel chair that had no cushion. Fits in a wheel chair nicely. half the price of similar cushions. I needed something to cushion my sprained muscle/ligament since I sit all day at work. The cushion fit my office chair very well and was large enough for a not-so-small bottom. The cushion was not as soft as I thought and/or hoped it would be so I am not using it right now, but will as the sprain heals some. Provides support for my Mom's rocker making it easier to get up. Also very comfortable. A great cushion but maybe a little too think for me. I am not a very active person.And I have been suffering from sciatica and lower back pain. I sit at my job all day. After I'm sitting for a while, I get nerve pain starting from my bottom and going down the back of my thighs. 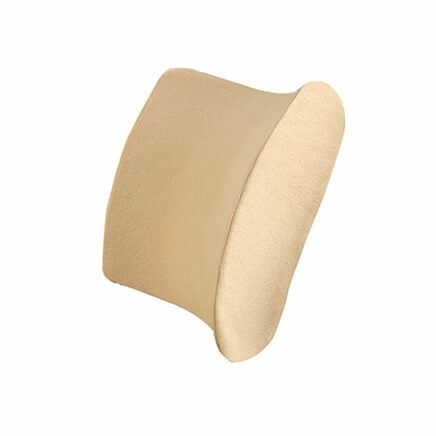 This cushion has done a lot to relieve the pressure on those nerves and give me relief. Hoping that this makes sitting easier for long periods working at the computer. I've had this cushion before and really liked it, so wanted to get another one. To make sitting the recliner more comfortable. For added support in husband's easy chair. To help get higher in the seat of former car. Needed it for work chair. My husband watches a lot of tv . I plan to use this at my son's home in their living room. Hopefully I'll be able to get out of the chair easier. I need more height in my computer desk chair, and this cushion is nice and thick... very comfortable. I have two of these and for hard seats they are wonderful. Nice soft seating for someone with no self cushion anymore. Lasts for a couple of years or longer before replacement depending on your body weight. I'm sorry, but this cushion hasn't worked like I expected. I need to sit higher in my car's drivers seat. This should help. Comfort & nice looking & machine washable! Had back issues, thought it would help. It didn't! I have been wanting this cushion for a while. It looked just like what I wanted. I have one & like it very much. I ordered one for a friend ! I purchased one of these several months ago and have been very pleased with it. The one I am ordering today is for my husband. i AM IN MY 80'S AND THIS LOOKED LIKE IT WOULD MAKE SITTING MUCH EASIER. Needed soft seat on chair. I have given this as a present and the person was so grateful. Very comfortable. This is used for my husband who's a truck driver. To replace old one in my car. Works well for people who have had spine surgery! To be more comfortable at my desk. what weight will it hold? BEST ANSWER: Thank you for your question. The Fleecy Gel Seat Cushion should hold any weight. 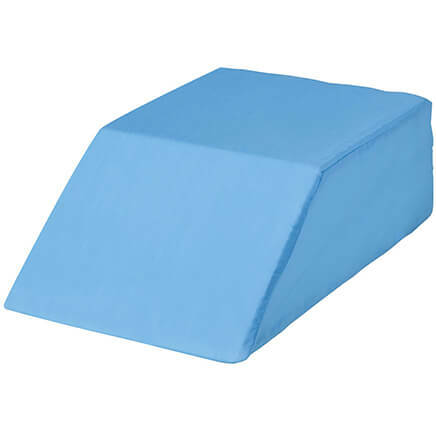 This is a high-density cushion so it should not flatten very much when someone sits on it. We hope this information will be of help to you.